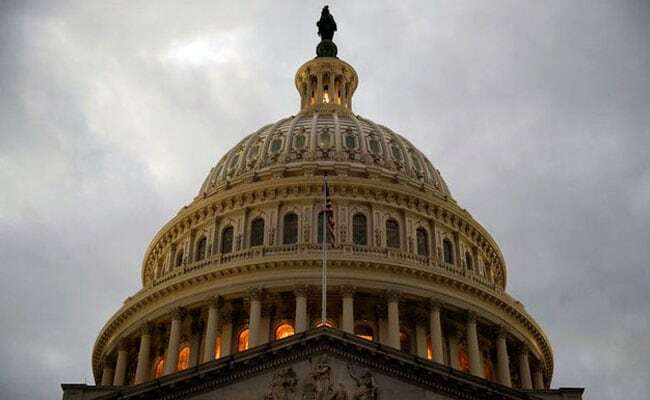 Washington: The top senator from US President Donald Trump's party urged lawmakers to "step back from the brink" as they gathered Sunday for a crunch vote to keep the government shutdown from stretching into the coming work week. The shutdown cast a huge shadow over the first anniversary of Trump's inauguration as president and highlighted the deep divisions between Republicans and Democrats. "Today would be a good day to end it," McConnell said from the Senate floor during a rare Sunday session aimed at hashing out a deal ahead of a vote he said would take place at 1:00 am (0600 GMT) Monday, unless progress is made sooner. Trump early Sunday encouraged the Senate's Republican leaders to invoke the "nuclear option" -- a procedural maneuver to change the chamber's rules to allow passage of a budget by a simple majority of 51 votes to end the shutdown. "If stalemate continues, Republicans should go to 51% (Nuclear Option) and vote on real, long term budget, no C.R.'s!" he tweeted, referring to the stop-gap funding measure. White House budget director Mick Mulvaney on Sunday accused some Democrats of wanting to "deny the president sort of the victory lap of the anniversary of his inauguration" -- echoing a complaint Trump made on Twitter the day before. "There's other Democrats who want to see the president give the State of the Union during a shutdown," Mulvaney said on Fox, referring to the nationally televised address Trump is to deliver on January 30. Democrats have accused Republicans of poisoning chances of a deal and pandering to Trump's populist base by refusing to back a program that protects an estimated 700,000 "Dreamers" -- undocumented immigrants who arrived as children -- from deportation. Schumer said he and Democrats were willing to compromise, but Trump "can't take yes for an answer -- that's why we're here." "I'm willing to seal the deal, to sit and work right now with the president or anyone he designates -- let's get it done," Schumer said. "We're just in a holding pattern. We just have to wait and see. It's scary," Noelle Joll, a 50-year-old furloughed US government employee, told AFP in Washington. A deal had appeared likely on Friday afternoon, when Trump -- who has touted himself as a master negotiator -- seemed to be close to an agreement with Schumer on protecting Dreamers. The measure brought to Congress would have extended federal funding until February 16 and reauthorized for six years a health insurance program for poor children -- a long-time Democratic objective. Highlighting the deep political polarization, crowds estimated to number in the hundreds of thousands took to the streets of major US cities including Los Angeles, New York and Washington over the weekend to march against the president and his policies and express support for women's rights. Protesters hoisted placards with messages including "Fight like a girl," "A woman's place is in the White House" and "Elect a clown, expect a circus."